Dulquer Salmaan upcoming new malayalam movies 2013 list with latest projects are given here. If you wish to check the latest malayalam movies of Dulquer Salmaan, do find it here. We have updates the latest movies list of here. Moving from the shadow of Mammootty, his father, Dulquer Salmaan has created his own space in the malayalam movie industry which gives him a unique position among the young actors. Dulquer who made his acting debut with Srinath Rajendran's Second Show took a smooth take off as the movie received vibrant reports from the theatres. After his majestic appearance in Ustad Hotel and Theevram, Dulquer is gearing up to entertain the audience with a few youthful movies. 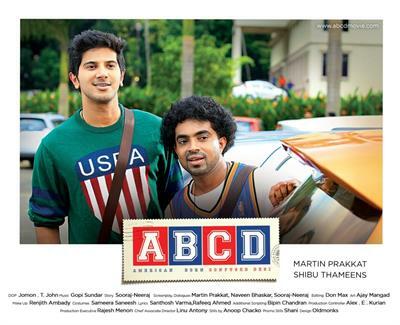 ABCD: Amercian-Born Confused Desi, creamed with humour will be Dulquer Salmaan's upcoming release. Produced by Shibu Thameens under the banner of Thammens, the film will have Dulquer Salmaan, Aparna Gopinath and Jacob Gregory in lead. For the story of Sooraj- Neeraj, Martin Prakkat has lent his support as director. Young cinematographer Jomon.T.John has handled the camera works while the music composition is safe in the hands of Gopi Sunder. The movie is all about the journey of two young American Malayalees to their Motherland, Kerala. Dulquer Salmaan and Jacob Gregory play the role of Johns and Korah reslectively while Aparna Gopinath dons the character role of Madhumitha. Aparna, a well known theatre artist known for her acting brilliance in 'Six Characters in Search of an Author', 'Woyzeck', 'Moonshine', 'Sky Toffee', 'Sangadi Arinjo' is making her silver screen debut with this movie. Vijayaraghavan do play an important supporting role in ABCD. After the various schedules of shooting in Kerala and U.S, the movie will be released in the month of June. Dulquer Salmaan will render his sound for a song composed by Gopi Sunder. Anchu Sundarikal, the romantic anthology is a project helmed by Amal Neerad. This movie contains five short stories on love which features five types of women - mother, daughter, lover, wife and actress. 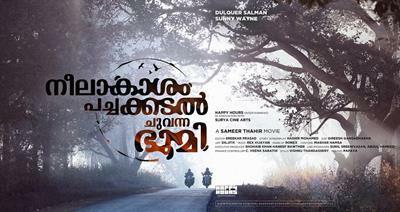 'Kullante Bharya' directed by Amal Neerad features Dulquer Salman, Reenu Mathews, Muthumani and Jinu Ben. Loosely based on an ancient Chinese short story, this film would be a part of the other five which are directed by Anwar Rasheed, Aashiq Abu, Sameer Thahir and Shyju Khalid. This movie is expected to hit theatres on 14th June. Neelakasham Pachakadal Chuvanna Bhoomi directed by Sameer Thahir will bring Dulquer Salman and Sunny Wayne again after the grandiose success of 'Second Show'. The movie tells the tale of two youngsters played by Dulquer Salman and Sunny Wayne who take a road trip starting from Kerala to Nagaland on motorbikes. Young Manipuri beauty Surja Bala will don the character role of an Engineering student in this movie. Bala joined an engineering college in Kerala under North East quota. During her studies, she meets Dulquer Salmaan which later turns into romance. This thrilling road movie will explore politics, religion and identity embedded with an elegant love story shot in Nagaland. With most of the malayalam filmmakers keeping themselves away from the hard terrain and hilly regions of Nagaland, Sameer was ready to take the challenge capturing the picturesque beauty of the land. Pattam Pole, the directorial debut of cinematographer Azhagappan is Dulquer's next movie on line. Written by Anoop Menon, this movie is produced by Azhagappan under the banner of AGPMovies which will be distributed by Central Pictures. Dulquer Salmaan would have debutant Malavika Mohanan as heroine while Anoop Menon, Nivin Pauly, Mamukkoya and Lena Abhilash will be seen in supporting roles, and Asif Ali and Jishnu in cameo roles. 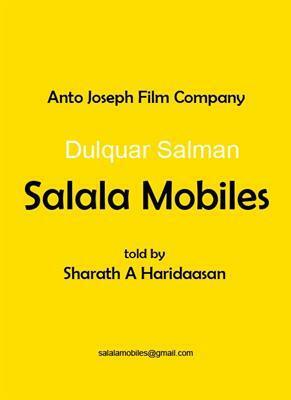 Salala Mobiles directed by debutant Sharath A Haridaasan is another project for Dulquer Salmaan in 2013. Sharath who had been in the industry as a script writer, short film director, editor and producer is gearing up to make his big screen debut with Salala Mobiles. Sharath who directed an advertisement for Kalyan Jewellers with Mega Star Mammootty, is excited to direct his son Dulquer Salmaan after 9 years. Produced by Anto Joseph for Anto Joseph Film Company, cinematographic skills of Satheesh Kurup could be visible through this movie. After showing his brilliance as music director for hindi movie 'Fun Aur Masti', M.S Sheikh Ellahi will render his magical fingers to set the tunes for 'Salala Mobiles'. The movie will start rolling from mid August 2013.